After sexual assault, the path towards healing is a long and complicated one. 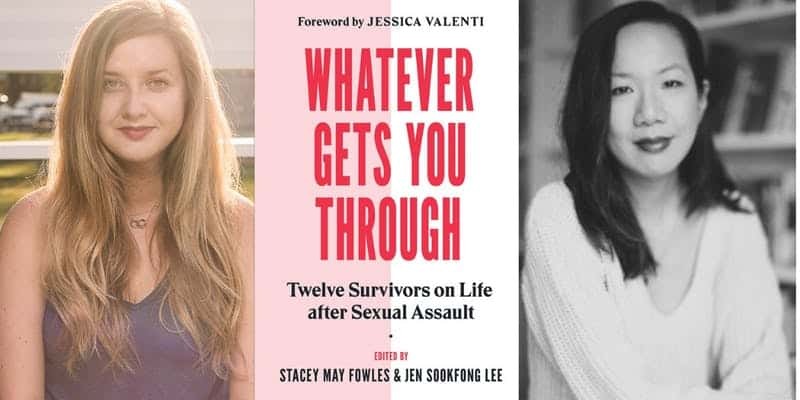 In a new book, Whatever Gets You Through: Twelve Survivors on Life After Sexual Assault, Stacey May Fowles & Jen Sookfong Lee investigate life after sexual assault. How does one contend with the lasting trauma from sexual violence? Is there any way it ever gets easier? As part of the #OnCivilSociety series at TPL, award-winning author Rachel Giese will guide a discussion with the book’s editors along with local contributors, including Gwen Benaway, Alicia Elliot, Karyn Freedman, Lauren McKeon and Kai Cheng Thom. Stacey May Fowles & Jen Sookfong Lee: Life After Sexual Assault will take place on April 10 at 7 p.m. in the Bram & Bluma Appel Salon at Toronto Reference Library (789 Yonge St). It’s free to attend, but you must register here.